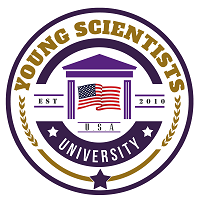 At Young Scientists University, we believe in providing equal learning opportunities to all, without discrimination to their socioeconomic status, cultural background, physical deformity and ethnical diversity. To support such socially, physically and economically deprived student, we have introduced a number of merit based scholarships with the aid of which an ardent student will never miss a chance to achieve his/her desired goals. Support to such students achieving their educational goals, demonstrate our investment in their future and the communities where they will serve as an advocate for positive social changes. We also help students search for outside scholarships which are run by community people, educational NGOs, international educational trusts and philanthropists spread across the globe. YSU is committed to supporting our community of veterans, service & defense members and their spouses as they progress toward their educational goals. We respect the spouses & relations of those who have lost lives in action on the front. There are special scholarships for the wards or spouses of such war veterans that not only recognize their patriotic efforts for their nations but also provide opportunities for their children keeping them abreast in career & life.